Did you know that basic system warranty coverage requires customer replacement of many PC parts and components (CRUs - Customer Replaceable Unit parts)? This is often a great solution for customers with IT staff, a centralized location or those looking for a more cost effective warranty option.But with Lenovo Service's Onsite and Technician Installation of CRUs, you can avoid the time and hassle associated with CRU part replacement and has the convenience of onsite installation by a qualified Lenovo Technician. Ideal for remote locations where technical resources are not available or for organizations with inexperienced end-users, Lenovo's Onsite and Technician Installation of CRU's compliments your Onsite warranty and makes PC parts replacement simple for just pennies more per day. 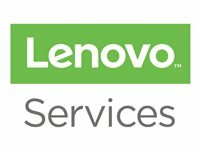 With Lenovo's Onsite Technician Installation of CRUs, all internal components become qualified as Field Replaceable Units (FRUs) with an authorized Lenovo repair technician dispatched onsite to install replacements parts.